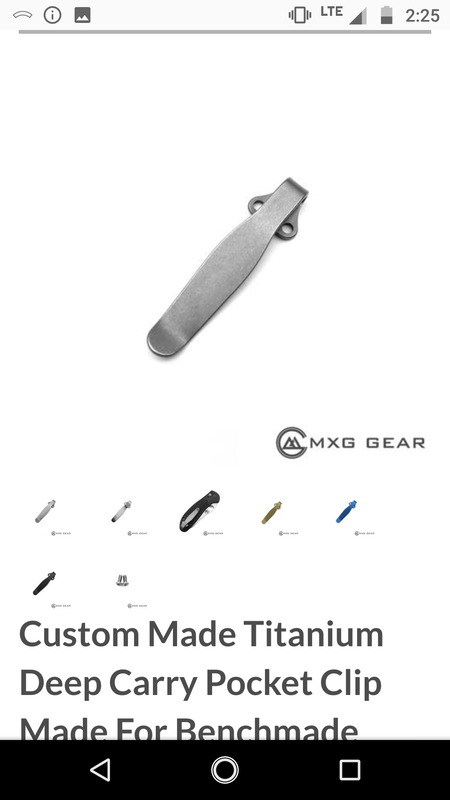 Discussion in 'Benchmade Knife Company' started by Gary W. Graley, Nov 8, 2018. Hi folks, just picked up the mini Freek and wanted to get a Bugout clip for it as I did like how small that was and it worked well, but I guess Benchmade is limited as to sending those out, if it is not for a Bugout they aren't allow to send one, not sure why? But dem's the rules I suppose. Anyone happen to have one they are not using, I know some people remove them to carry without a clip. I'd be willing to trade a custom key chain that I make, it has a split ring, heavy duty 550 paracord and a Viking bead sandwiched between two tightly formed diamond knots. Thanks in advance, I'm liking this little min Freek, texture of the scales is nice, size is great, especially in sheeple friendly areas, don't want to spook them! 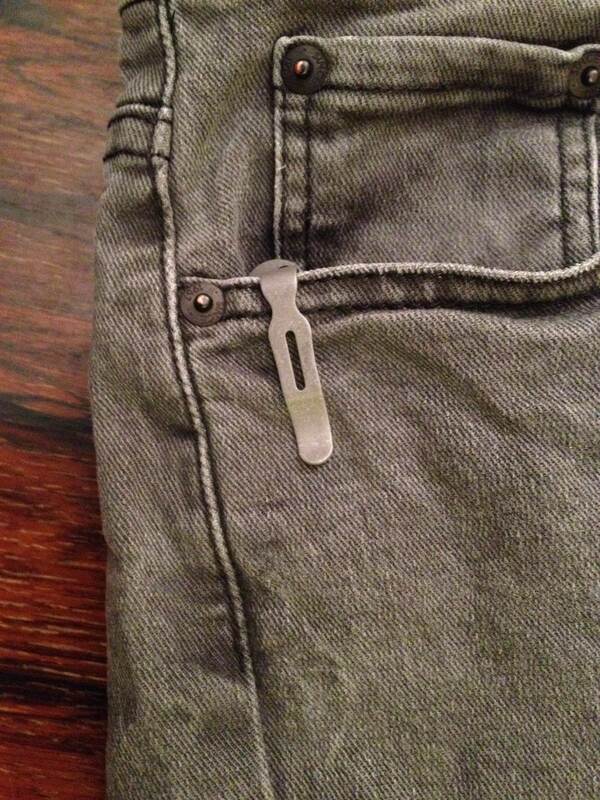 I never had a prob getting an extra pocket clip from the good folks at BM, unless they changed policy? I asked to pay for a new clip because a painted one I had got all scratched (yes, I know, knives are tools) and in the mail came 2 new and a stainless. And I'm not a big knife review guy or anything, just asked nicely.... Explain and they may surprise you! Sorry, good luck with your sesrch! Reckon why they won’t send a bugout clip? Shortage of those clips or a change in policy? That's what I though... we wore out our "clip welcome" ???? TonySal and Gary W. Graley like this. That could be, it's a great knife, but found it too light, this mini-Freek is a near perfect fit for me. I guess I could have told a fib that I needed one for my Bugout, as I did have one, but I'd have to make up an excuse as to why I needed ANOTHER one for it, so, I didn't. I know some people like the split arrow style better I'd be willing to swap with them if they wanted to do that too. Bead blasted Ti will match the grey inserts on the freak very nicely. They look pretty nice, one thing it doesn't show, or tell, is how long they each are, that bugout clip is pretty short so I think it would work great on this mini Freek. As the one on the mini Freek measures about 2 1/4" from end to end and I don't have the Bugout any longer, I think that one is shorter as well as the deep pocket style. Highwayfj62 and TonySal like this. The Bugout clip is 1 9/16" long. Works great on my 940 which I used to carry clipless. TonySal, jeronimo and Gary W. Graley like this. We are still making them. They are just backordered due to high demand. Feel free to check back in a while. I just went through the same thing late last month. and that they would be available in the future. he could only send one out as a custom shop knife warranty replacement, or a Bugout warranty replacement. I informed him I had a custom shop Mini-Grip, with the mini deep carry clip. He looked up my custom shop order, to verify, then informed me he would send one my way. I received it last Friday. Those just look like that is how it always should have been for sure. Yes it is a great clip, good retention and low profile. jeronimo, TonySal and Gary W. Graley like this. The I don't like how the Bugout clip rests in my hand and I sheath carry. Since I only use a clip as a finger perch to roll the blade open, the Mini Freek clip will work better for me. Would you be willing to trade? My Bugout clip for your Mini Freek clip. 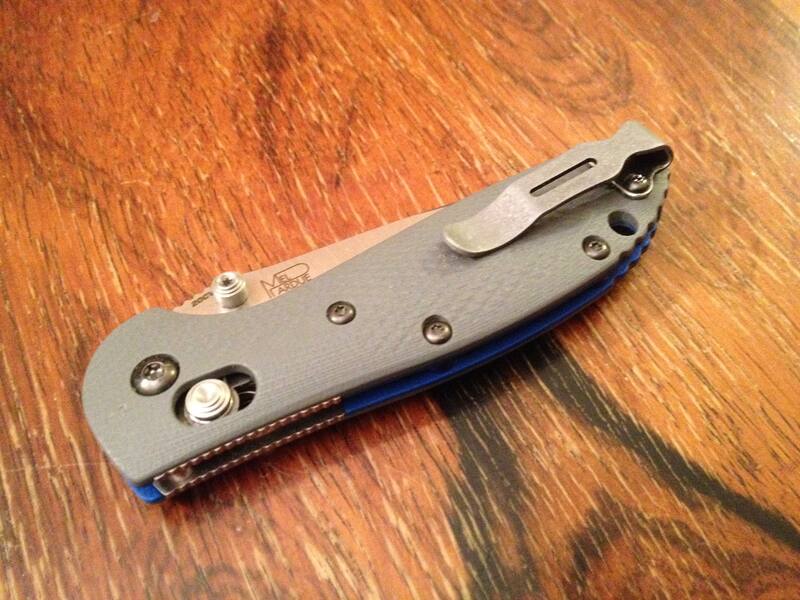 I'll be shy a screw but if I don't have one here I'll get one from Benchmade.